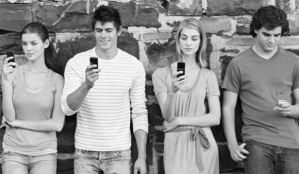 The rising generation of Millennials has Dr. Brad Wilcox concerned. They are “unmoored,” according to data recently published by the Pew Research Center. “What Could Go Wrong?” is the question Dr. Wilcox asks as he sorts through the research findings. Dr. Wilcox evaluates these findings by asking two questions. First, why does this matter? What could go wrong? with this generation of “unmoored” young adults is the second question. Dr. Wilcox’s answer should get the attention of us all! If today’s events in Europe, not to mention of the last century, tell us anything, it is that a generation of young adults “unmoored” from the institutions of work, family, and civil society, and distrustful of their fellow citizens, can end up succumbing to the siren song of demagogues, especially if the economy dips into a depression. It’s for [this] reason, among others, that policymakers, civic leaders, and business executives, not to mention young adults themselves, need to redouble their efforts to revive the American economy and better integrate today’s Millennials into the nation’s economic, familial, and civic fabric. W. Bradford Wilcox is Director of the National Marriage Project and Associate Professor of Sociology at the University of Virginia. Dr. Wilcox is one of our most astute observers of the health and importance of marriage and family in America today. He is the author or coauthor of numerous books, including Why Marriage Matters, Third Edition: Thirty Conclusions from the Social Sciences and Soft Patriarchs, New Men: How Christianity Shapes Fathers and Husbands. “What Could Go Wrong?” is available online. Is happiness necessary for a good life?